Get the ultimate party season look with this show-stopping maxi dress. 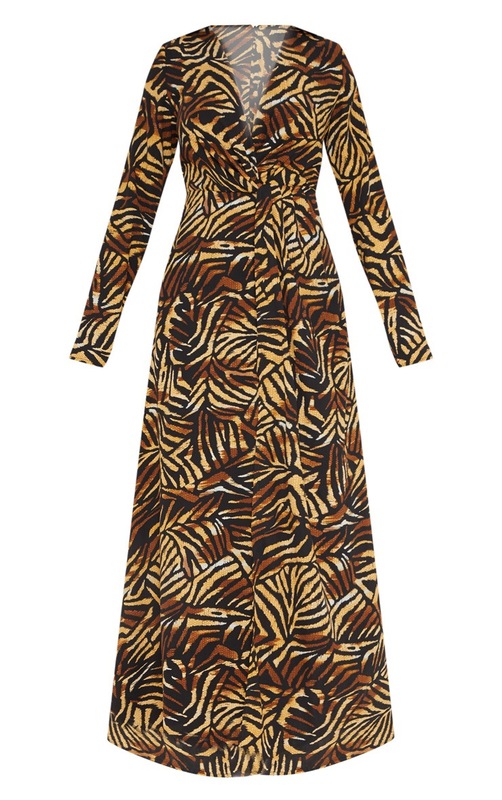 Featuring a brown material with an all over tiger print, a twist front, long sleeves and an extreme side split. Team it with a pair of strappy heels and statement accessories to complete the look.